In most cases, people dread getting Manufactured Patches in packs. The one-per-pack Premier Stitchings card in Upper Deck Premier is a guaranteed stinker. However, manufactured patches are cheap to make and seem to be a mainstay in the hobby. Manufactured letter patches are featured in products across all the major companies, so they must be at least marginally popular. I, for one, am usually against manufactured patches. 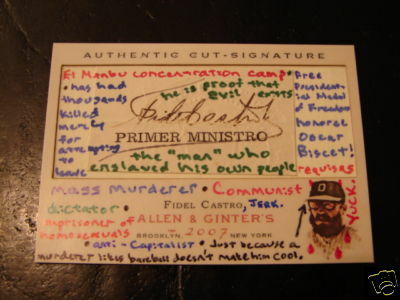 However, one card in Topps Series 2 Baseball really caught my eye. 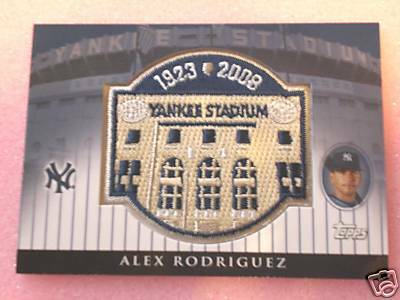 It’s a manufactured patch card of Alex Rodriguez that features a replica of the commemorative Yankee Stadium Patch that all Yankees are wearing on their sleeves for the last season in Yankee Stadium. I think its a neat looking card, and would be a great idea for a set. 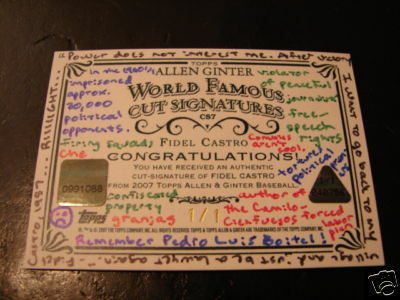 Manufactured patches of commemorative patches of different teams would be pretty awesome. I guess the more successful manufactured patch cards are replicas of patches that actually exist on authentic uniforms. Once card companies start making up random stuff to plunk down on cards, the manufactured patches go from cool, to just annoying space fillers.